The short answer is that it provides you with the knowledge to make a good decision and the protection of a professional relationship and recommendation. But you may still be asking, “Why do I need that, I will get that from the insurance company?” Here is a longer answer. Through marketing and advertising insurance companies have created the image for themselves that they are here to protect the homeowner, and they sell insurance policies because of that. That is their business, selling policies and collecting premiums. Paying claims is a loss to an insurance company, reducing the profitability of their business. But you may say, “If they don’t pay they will have a bad reputation and eventually go out of business” – true. But this is what they said, “How could we have both? How could we pay fewer claims and still keep our customers.” And that is exactly what they are doing to unknowing consumers. But don’t take our word for it see what the American Association for Justice had to say. Citing a specific example, the report goes on to explain the insurance company had contracted a consulting firm to show them how to increase their bottom line. The results can be summarized in that the insurance company was instructed to deny claims even if they were legitimate using a strategy of deny, delay, and defend. We’ve had it explained to us this way. Take a room of 100 people with legitimate claims and tell everyone they are okay that there is no damage. Thirty-three percent will believe them without question and go home as happy premium paying customers. Those who remain, come back into the room and tell them that there is a little damage but not much so they will receive a partial settlement. Half of those who remain (another 33%) will go home as happy premium paying customers. 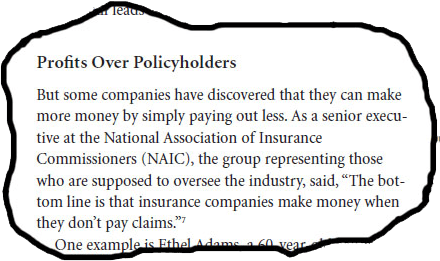 This then leaves only 33% of all legitimate claims that the insurance company has to pay in full, without losing policy holders. At Tuttle Contracting we want our customers to be in the last 33%, people who receive a proper settlement and have their homes repaired properly. Every Tuttle Representative is not only informed of these practices, but they are trained to know how to work within the system that exists. While there are some practices that are industry wide, there are also others that are specific to one insurance company or another. Often knowing how to work with the insurance company is the difference between a successful settlement and one that gets lost in the “red tape” of the insurance world. This is why Tuttle Representatives are no longer called “salesmen” or “contractors;” they carry the title of Project Managers because they do so much more than order shingles and oversee labor. So, why have an inspection? An inspection from a qualified contractor, like Tuttle Contracting, is the beginning of a very valuable relationship. The inspection will provide confirmation whether damage exists or not, and prevent an unnecessary insurance claim; as we discussed on the Insurance Claim Aid/Tips page. 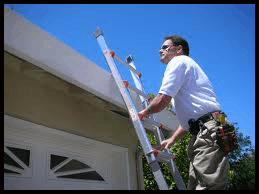 But in light of this new information, it will also provide you with a trained advocate who knows how to work through the insurance claim system and ensure you receive the necessary funding to repair your home properly.